I realize it’s very unhealthy to be angry or keep those feelings bottled up. These are feelings I’ve had since the middle of November in 2001. They’ve come and gone. These feelings have surfaced recently ten fold as I dwell with a friend on what’s it like to lose your mother. I tend to completely lose it when I see a mother and daughter shopping and the daughter is being a complete brat. In fact there have been two times (really bad days) that I’ve actually addressed the situation which was none of my business. The situation was this. The teen daughter wanted some super expensive jeans. Her mother said no. She went on to trash talk to her mother in an attempt to get her way. I couldn’t help myself. I told her she should be glad her mother’s still around through teary eyes. She probably gained nothing from that. I did. I’ll be real honest and tell you I didn’t say it that simply, or that nicely. I’m sure you can imagine exactly how it went down. That’s the clean version. Over time though, I’ve realized one thing through all the anger. Not all mom’s were as awesome as mine were. I was a lucky one. I was fortunate to have someone so amazing and so dedicated to raising three children and loving a husband. It angers me to watch a friend go through all the terror of what’s to come in a life without your best friend, your mom. It angers me to watch her hurt and be a part of this club no one wants to be a part of. It angers me so much that I become this hormonal crazy woman. I try and remain calm but really all I want to do is scream. And cry. And then scream and cry some more. I’m thankful I had the wonderful mother I had for 17 years. I’m angry that someone I admire and really care about is about to be in the same boat. 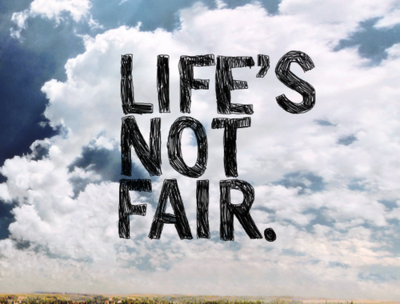 Life’s not fair. Hugs to you. Hopefully writing it down helped a bit! Love you!